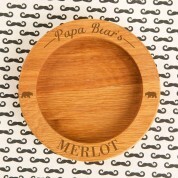 Dad or Grandad will absolutely adore this specially engraved, rustic oak coaster. 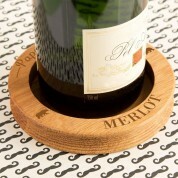 The indent snugly fits a wine bottle and the engraving is shown around the edges. 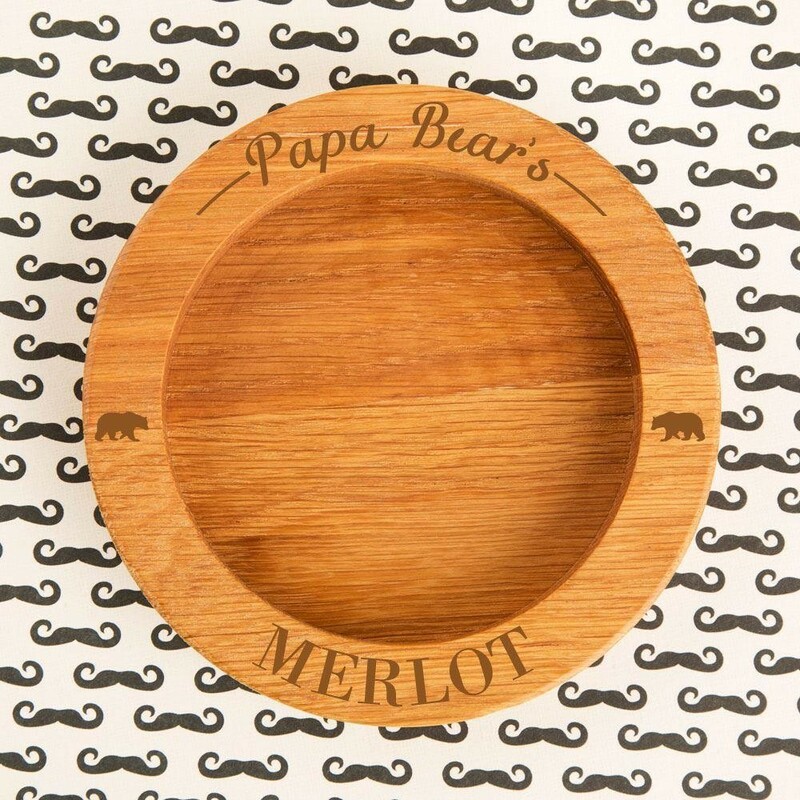 It reads “Papa Bear” at the top with his drink preference at the bottom. 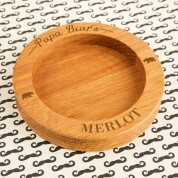 The design is made complete with small bear silhouettes on either side of the coaster. We think this would make the perfect Father's day gift, though it can be given on any special occasion. He can avoid spillages in style and will love to show off this unique, decorative gift when entertaining dinner guests! Each coaster is made of natural oak wood. The grain and colour of wood may vary from the images shown.